A gentle tale of three baby owls reassures young children that Mummy will always come home. 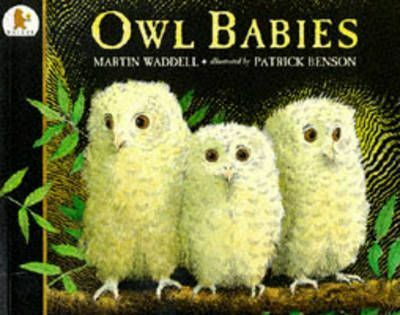 Three baby owls, Sarah, Percy and Bill, wake up one night in their hole in a tree to find that their mother has gone. So they sit on a branch and wait...Darkness gathers and the owls grow anxious, wondering when their mother will return. But, at last, she does and they bounce up and down with joy, welcoming her home.